NEW YORK -- The ladies arrived in beautiful Paris to meet up with the man they are all dating, Arie. Jacqueline said things are really starting to move with Arie, and to be honest, I hardly remember her! Chris Harrison revealed the news to the women that this week would feature the dreaded two-on-one date. Lauren got the first one-on-one date though, she was spared from the two-on-one thank goodness. They took off on a little power boat as the other women looked on with envy. They cruised around holding hands and taking in the sights of Paris. Then, they walked in silence. It was uncomfortable to watch! You just want to shake her and say "talk woman, talk!" She seemed very nervous. Arie kept pointing things out and then Lauren would say, "Wow." Arie said that he's worried that she might not be that into him. Finally, Lauren asked him how everything was going for him and he revealed that he wants her to like him. He told her, "I'm searching for reassurance as much as you are." Back at the hotel, another date card arrived. It read, "Becca, Seinne, Bekah, Tia, Chelsea, Jenna, Let's get all dressed up, Arie." That meant that Kendall and Krystal would be on the two-on-one, since they've been in all the promos! Spoiler alert. Right away, Krystal said that she felt confident. On the silent date, time would tell if Lauren could start to open up and talk freely with Arie. They shared dinner with some wine and that probably helped. Lauren revealed that she felt like there was a ton of pressure on her earlier, and Arie seemed very understanding. She thanked him for being observant. She said she usually puts guys in the "friend zone" for six months before she feels comfortable trusting them. Arie revealed that he was previously dating a woman with two kids who was pregnant with his baby, but she lost the baby while he was away at a race. She left him because she felt that he wasn't there for her, despite him scaling back a lot on his career for her. Lauren talked about her parents rocky relationship, and how she was engaged to her ex, but he didn't treat her well anymore once she had the ring on her finger. As a result, she fears him turning into someone different it seems. Arie said that he loves when she lets him in and he wants to give the relationship time so he offered her the rose! It was time for the group date at the Moulin Rouge! The ladies were mostly very excited, especially Seinne who has dancing experience. Tia is awful with choreography and Bekah still doesn't own a bra. This is the perfect date for her. The ladies looked beautiful in their costumes! They all got invited to see the show, but they would be competing for the chance at a rose and that rose would also mean they would be dancing in front of all of Paris. Arie sat the ladies down and told the women that he was handing out the group date rose to the woman he has the biggest connection with, and he's not basing it on their dancing ability. Tia breathed a sigh of relief, and they had a great conversation. He also had really great conversations with Seinne and Bekah, but in the end Bekah was the one who got the group date rose. They dressed up in costumes and took part in the Moulin Rouge dance! It was the experience of a lifetime, and all while the other women watched from the audience. Bekah and Arie did a great job and then ran off stage and shared some celebratory kisses. Arie says that he's "definitely falling for her." Two-on-one, one stays, one goes! Kendall vs. Krystal. My money is on Kendall for sure, but then again, this show loves to surprise us. Arie and the two ladies went to a beautiful chateau in Paris and he did his best to try to make it less awkward by saying things like, "I love these old oil paintings, look there's someone playing a ukulele." Arie ran off into a maze of box hedges and Kendall and Krystal went off to search for him. Krystal found him first as Kendall got lost in the maze. They regrouped for some champagne and then Arie and Krystal went off for a private talk. Arie kept brushing Krystal's hair out of her face and she did her best to talk him into circles. She just nodded as he spoke and said that she didn't want to throw away all of the "color and texture and depth" of their relationship. She said some stuff about trust and then they were making out. Yikes. Then Krystal started talking about Kendall never being in love and wanted to know why he chose Kendall for the date. She's breaking the cardinal rule of never talking about another woman on your time, but we'll see if she's an anomaly. Arie ratted Krystal out to Kendall about what she said about her not being ready for marriage and Kendall was so upset. She said that she's not on a timeline, she's looking for the right person. Kendall says that she has no idea where she stands with him after Krystal planted that seed of doubt in Arie's mind. Kendall confronted her and Krystal did not know what to say to her. Kendall told Krystal that she can empathize with her and it went in a really strange direction. Krystal said, "I don't really have words." Arie came back, picked up the rose and decided to hold off on his decision. Kendall should have just walked right out. Krystal spoke to Kendall before Arie arrived at dinner and called it patronizing. Turns out Krystal can't handle a dose of her own medicine. Kendall then just sat back as Krystal spewed a whole bunch of nonsense to Arie. Arie asked Kendall for a private conversation we didn't get to see. But then Arie sat back down, picked up the rose and offered it to Kendall! She accepted the rose! Krystal sat there smiling as Arie apologized. Then Arie and Kendall stood up and they left Krystal sitting there alone at the dinner table. Krystal said she was floored. The ladies back at the hotel popped champagne as Krystal's bag got wheeled away. Meantime, Kendall and Arie rode the elevator to the top of the Eiffel Tower and shared a romantic kiss with the best view. At long last, Jacqueline was going to get her chance at a one-on-one date. They took off in a tiny car that stalled and even Arie couldn't figure out how to get it going. So they got in a black car and went shopping in the fanciest shops Paris had to offer. She settled on a simple, yet elegant black dress and they seemed to have a lot of fun together. They sat at the best table at Maxims restaurant and sat to talk about their dream date. She started to feel nervous and then Arie just started kissing her. Arie told her that he was actually intimidated by how intelligent she is and he said his own insecurities set them back. Jacqueline told him she wants to finish her PhD which is six years. She told him that she just wants to be with him and Arie said that he doesn't want to hold her back. I wish we had gotten to see more of Jacqueline before this, she seems really great. Despite his concerns, Arie offered her the date rose! 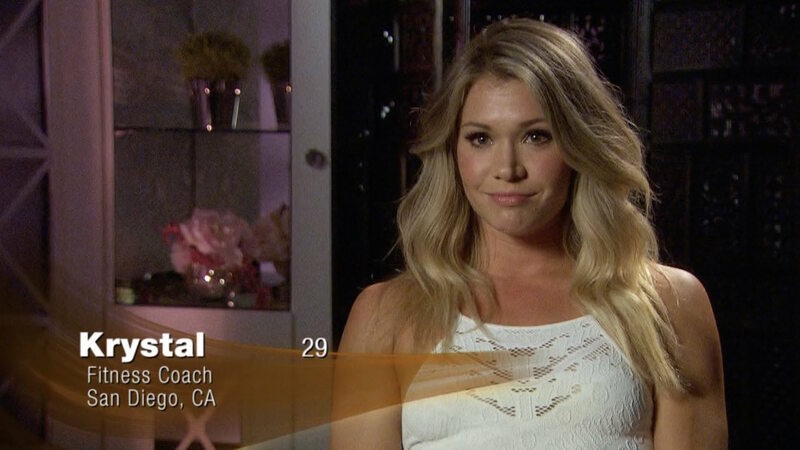 Arie told her, "I really, really, really, really like you." It was sweet. That meant that Chelsea and Jenna were eliminated. Jenna took it well at first, but then sobbed into her hands. Arie walked Chelsea out and he apologized, they hugged, and she walked away. Next week, they will head to Tuscany, Italy! Wow! The ladies cheered as they learned the exciting news. Lauren went off and spoke to a producer and said she should be excited, but she's not. She said that watching Jacqueline go on the date with Arie was like torture. We also got to see a glimpse of some very intense looking hometown dates!